Dalian Atkinson died in the early hours of this morning after being tasered by police in Shropshire. Officers were called to a house in Telford at 1.30am after reports of concerns for a man's safety. On arrival a taser was used on the 48 year old which lead to West Midlands Ambulance Service were called. He received medical attention but died at 3am. West Mercia Police said officers were called amid concerns "for the safety of an individual'' and deployed Taser. West Mercia Police said in a statement: "Officers responded to a report for the concern for the safety of an individual at approximately 1.30am this morning at an address in Telford. "Upon arrival, Taser was deployed and a 48-year-old man, who subsequently received medical attention, was pronounced dead at approximately 3am. "West Mercia Police are unable to comment any further as the incident has been referred to the Independent Police Complaints Commission (IPCC) as is normal procedure, and will assist the IPCC with their inquiries." 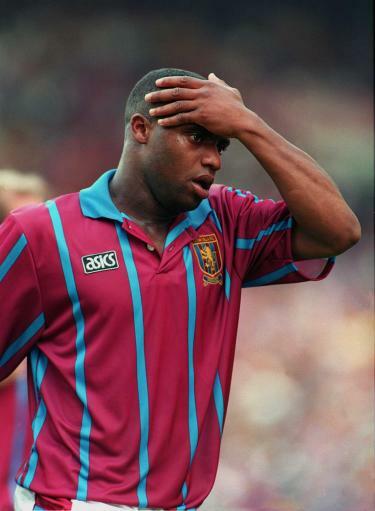 Former teammates of Aston Villa striker Dalian Atkinson have united to mourn his death. The 48-year-old from Telford, who won the first Match of the Day goal of the season competition in the Premiership era, died around 90 minutes after he was hit by a police stun gun at around 1.30am on Monday. The tributes were led by former colleagues, including those who played with Atkinson in the unlikely 3-1 victory over Manchester United in the 1994 Coca-Cola Cup Final - a game in which Atkinson opened the scoring.